Map of HMP Maze showing the escape route. 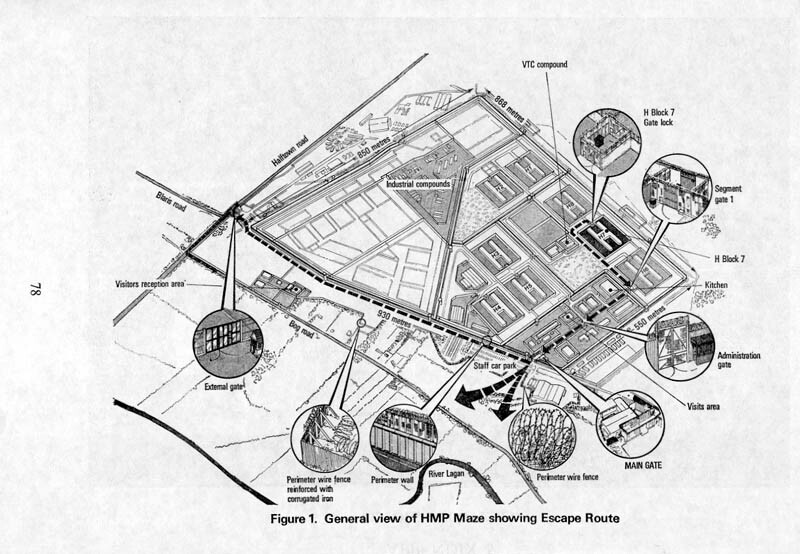 The image is used to identify map of HMP Maze escape route, a subject of public interest. The image depicts the route taken by the prisoners, showing the layout of the prison compound and the gates.